Nylund's Collision Center. Best Auto Repair Shop in Denver! 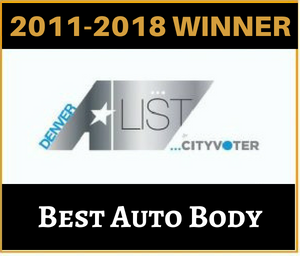 We’re Denver’s Best Auto Body Repair Shop! A sixty second phone call to our metro Denver auto body repair shop can be the difference between having your car just repaired or having it repaired right! Nylund’s is committed to providing Uncompromising service and precision craftsmanship for each and every guest we have the opportunity to meet. We have been a locally-owned family business for over 30 years, serving the Denver metro and surrounding areas including Englewood, Highlands Ranch and Littleton. Our friendly, expert staff are here to serve all of your needs; we go above and beyond on a daily basis. BEST BODY SHOP 2011, 2012, 2013, 2014, 2016, 2017 AND 2018! If your vehicle was recently damaged, we know there’s really only one thing you want from a collision repair shop – to have your vehicle fully restored looking better than new. Not all collision repair shops are the same, so don’t hastily make a wrong decision and be forced to deal with the consequences of shoddy repair work. 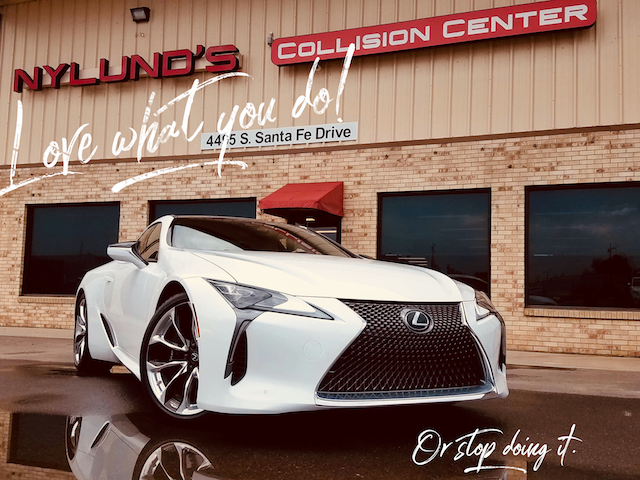 At Nylund’s Collision Center, a locally-owned family business, we’ve been serving the Denver metro area with integrity and distinction for over 30 years. 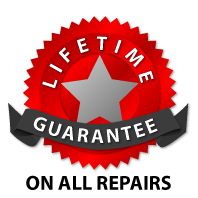 We’re Denver’s only 4-time A-List Award-winning body shop and we offer a lifetime guarantee on all repairs. 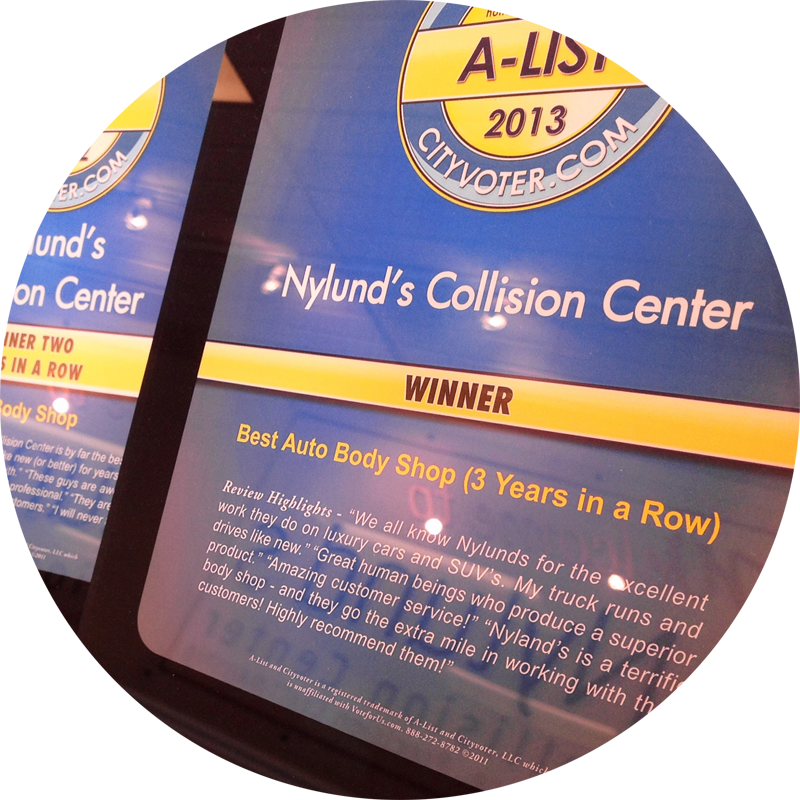 Visit us in Englewood for a tour or call and talk to a specialist– you’ll quickly discover why Nylund’s Collision Center is the body repair shop for owners who truly care about their car. 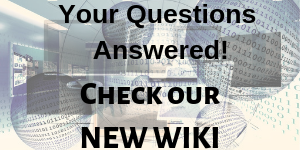 See what goes on behind the curtain! We are always happy to give a tour of our shop. See the cars in different steps of the repair process, talk to a technician, check out our spray booth and color matching system. 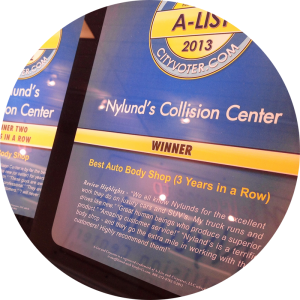 Our mission at Nylund’s Collision Center is to provide our guests, current and future, peace of mind, ease and “industry best” repairs when they find themselves in a time of need for auto body repair services. We raise the bar when it comes to the image of the auto collision industry. 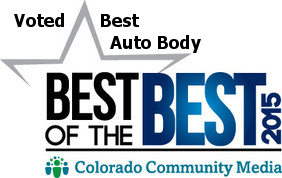 We make every effort, every day to earn our guests’ loyalty and referrals so that we may become an icon in our community when it comes to best in class auto body repair in Denver, Englewood, Highlands Ranch and Littleton. 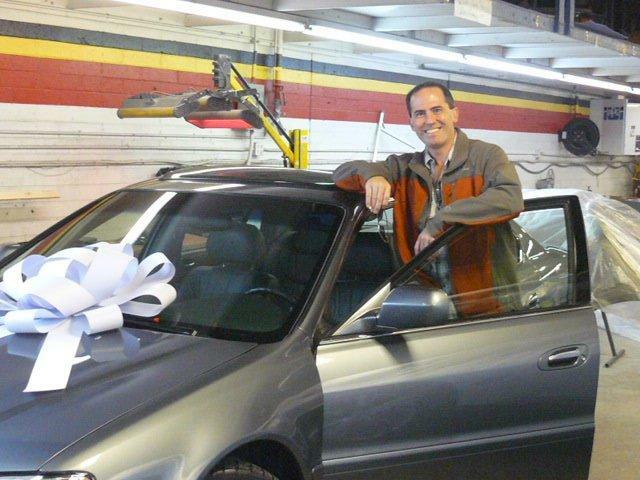 Although we specialize in auto body repair for luxury brands such as Audi, BMW, Lexus, and Mercedes, we are delighted to work on any car regardless of vehicle type. And it doesn’t cost you any more than it would at any other shop in town! I don’t think my car looked this good coming off the assembly line. You guys did a great job and it was awesome to have you as an advocate with the insurance companies. That was a huge load off my shoulders. 4495 S. Santa Fe Dr.